The Baxter sisters come from a long line of women with disastrous luck in love. 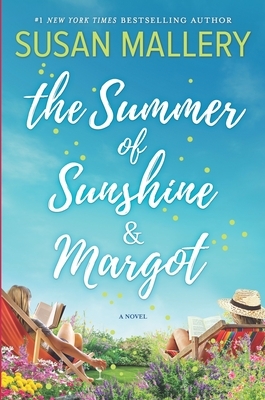 But this summer, Sunshine and Margot will turn disasters into destiny...As an etiquette coach, Margot teaches her clients to fit in. But she's never faced a client like Bianca, an aging movie star who gained fame--and notoriety--through a campaign of shock and awe. Schooling Bianca on the fine art of behaving like a proper diplomat's wife requires intensive lessons, forcing Margot to move into the monastery turned mansion owned by the actress's intensely private son. Like his incredible home, Alec's stony exterior hides secret depths Margot would love to explore. But will he trust her enough to let her in?Sunshine has always been the good-time sister, abandoning jobs to chase after guys who used her, then threw her away. No more. She refuses to be "that girl" again. This time, she'll finish college, dedicate herself to her job as a nanny, and she 100 percent will not screw up her life again by falling for the wrong guy. Especially not the tempting single dad who also happens to be her boss.Master storyteller Susan Mallery weaves threads of family drama, humor, romance and a wish-you-were-there setting into one of the most satisfying books of the year.